The University of Central Florida Board of Trustees responded to university’s $85 million funding scandal Thursday by accepting an emotional explanation from President Dale Whittaker of his limited role, cutting bonuses owed him and former Chief Financial Officer Bill Merck, and adopting several rules changes to keep the board better informed. Merck, who retired in September as vice president for administration and finance and was identified in both the auditor’s report and UCF’s investigation by the Bryan Cave Leighton Paisner law firm as the leading culprit, was singled out by the board for most of the blame. Four of his former deputies whom Whittaker fired Friday, also were cited for blame by the board. Former President John Hitt, who retired last year and was succeeded by his provost, Whittaker, probably some blame. Whittaker, probably not. The board itself, almost no one dared raise the prospect, except for a couple of speakers who spoke during the meeting’s public comment period. And while the board left open the prospect that it might take on more inquiry, and the Florida House Public Integrity and Ethics Committee certainly is doing so, most of the UCF board saw no reason to do so now. 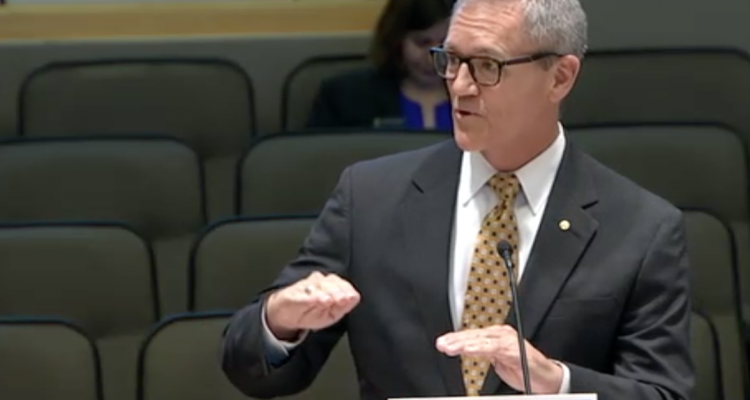 “I haven’t heard anything said today that convinces me that is an appropriate course of action,” UCF Board Chair Marcos Marchena said in debating a motion by Board Member David Walshthat they ask Bryan Cave to continue and expand its investigation. 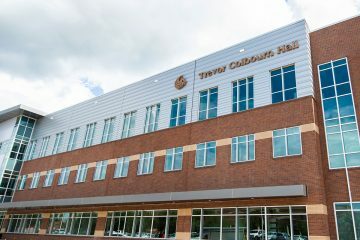 Here’s what it’s about: Last year the state auditor discovered UCF had illegally used operating money to build a new building, Trevor Colbourn Hall. Involved was $38.5 million in state Education and General Fund money to pay for a building that the Florida Legislature did not approve, and did not provide Public Education Capital Outlay fund money for. 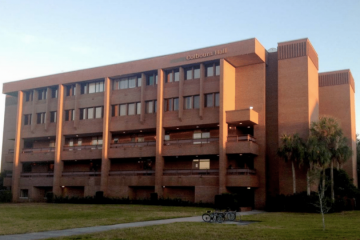 As the Auditor General’s Office dug around, it was revealed that UCF had used or programmed E&G money for other things, including construction of a building for its world-class CREOL College of Optics and Photonics. All totaled, about $85 million was misspent or programmed to be misspent since 2013, getting around state law and the Florida Legislature’s priorities and budgeting decisions. In September, as a preliminary report came out, Merck retired. Also that month, UCF hired Bryan Cave to investigate. 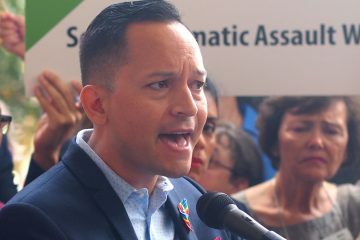 Shortly after that, Florida House Speaker Jose Oliva declared the scandal to be a priority interest for him, signalling the House investigation. The Bryan Cave report lumped much of the blame on Merck, who declined to cooperate with the investigation. The board also suggested that UCF had a culture in which Merck and his boss, Hitt, had become powerful and oblique in decision-making. Hitt had retired in June. 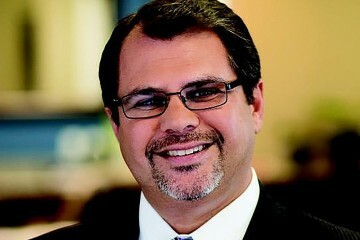 Whittaker, who was hired from Purdue University in 2014 and had been UCF’s provost and executive vice president through much of the period of misappropriations, became president. On Thursday Whittaker gave a 25-minute explanation of his role to the board and why he was not to blame, except in generally failing a responsibility as executive vice president. His presentation essentially boiled down to this: he was new; he trusted Merck, his colleague; and Hitt, his boss; those two had worked together for 20 years and had their own relationship; he didn’t fully understand Florida’s public capital financing laws; and he didn’t think it was in his lane anyway. The Bryan Cave report suggested he should have known and done something, however, as executive vice president; as someone who was in a key meeting with Merck and Hitt in which Merck mentioned that there could be an “audit comment” [an auditor’s term for something wrong] for what they were planning; and as someone the investigator found had taken an increasing role in construction planning. “In that context I trusted President Hitt; I didn’t have any reason not to. I trusted Bill Merck; again, I had no reason not to. And fundamentally I trusted the confidence that John Hitt had over those years in Bill Merck,” Whittaker said. “I regret not asking a deeper question. As the chairman [Marchena] said on Friday [at the UCF Board of Trustees previous meeting], I had a higher responsibility for inquiry because of my executive vice president role,” Whittaker said. Among the actions the UCF Board of Trustees did Thursday was cancel two years worth of performance bonuses for Whittaker, which cost him at least $49,000 and as much as $122,000. Whittaker accepted that, saying he agreed with the board’s action. The board also canceled unpaid performance bonuses owed Merck, which could have totaled between $33,000 and $93,000. Last Friday the board cancelled a contract for Hitt to stay on faculty as “president emeritus”, costing him about $150,000. That action done after Hitt requested it. The UCF board also debated a number of proposed reforms and approved several, including actions that would make it a board policy that UCF keep the roles of CFO and chief operating officer separate [a reform that Whittaker already instituted from his office as president]; require UCF staff to develop policies outlining the proper role for E&G Fund money; require the university’s audit department to do checks on capital projects; and even to raise the profile of the university’s in-house whistle-blower program. The latter reform wasn’t easy to pass, as Walsh and Marchena debated the true role of whistle blowers. Walsh argued that whistle blowing is a voluntary thing, but he feared the board was sending a message that if people don’t whistle blow they could be culpable. Marchena disagreed, pointing out that Merck’s four subordinates were fired not because they didn’t blow the whistle on him, but because they participated in what he was doing and should have known better even if he attempted to keep them less than fully informed. Which was an awkward appearance that Whittaker and the board members themselves were accused of having by the public comments. Walsh apparently feared the appearance as well, especially if the board closed down its inquiries now. He argued that more investigation might find more culpability on the parts of more people, as he argued that UCF needed to continue probing the matter to be certain it had done all it could to determine that. “We can’t as a board look to, now, the Legislature or another state investigative organization to continue our work. What we do, if this board is going to act in its fiduciary responsibility, it owes a duty to itself to be complete in what it does,” Walsh argued. Marchena disagreed, but also offered the prospect that the board might not be finished looking into things. The answer, by a split voice vote, was no.